In celebration of Better Hearing and Speech Month, we like to recognize our own team members. While each one of them are unique in their passions, they all make Therapy Center a place we are proud of. Looking back, I have had many positive influences in my life. My mother was a Surgical RN, my father, a Federal Bankruptcy Auctioneer. My grandparents were in sales and one grandfather had the greatest garden in all of Opelousas. In addition to having the most tremendous personality in town, my grandmother could cook absolutely anything. Along the way, I have picked up a bit of each one’s attributes. Like my mother, I love science and just like my grandparents and father, I love to talk, cook and garden. When it was time to choose a career path in life, I believe my upbringing drew me down the path of speech language pathology. In my undergraduate studies, the focus was broadly speech, voice, and language development and related disorders, so I was well trained with academic theory. Then came graduate school. I was able to zero in on those areas of interest from my undergrad work to broaden and deepen my knowledge. My desire was to be a Voice and Laryngectomy Therapist with a concentration in head and neck cancer. I was able to hone those skills with the help of many professors, professionals in the field, and fellow colleagues. A lengthy part of my career has been with my two passions, voice/laryngectomy and dysphagia. I consider myself exceptionally lucky to have been able to follow my passion within the profession of Speech Language Pathology. In particular, working with the CVA/Neurological population has been most fulfilling to me because patients who are diagnosed with a voice disorder or dysphagia benefit greatly by the therapy interventions we use. I know that I was created for this career. I believe that I first chose it, then, it chose me. My employment with The Therapy Center has allowed me to continue to follow my passions within the profession of Speech Language Pathology and for this I am grateful. 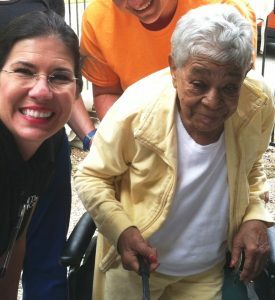 Working daily with the geriatric population, I experience wisdom that is unmatched with any other treating population. My patients provide me with humility, laughter, encouragement, strength , a strong sense of morality and a hefty dose of humanity each day. While I know that I am helping them to improve function and quality of life, I am pretty sure that they have no idea how my life is elevated to a higher level just because of them. Every treatment is a learning experience for us both, and it’s what makes me proud to say that I am their Speech Language Pathologist. Dona is certified in Deep Pharyngeal Neuromuscular Stimulation (DPNS), Electrical Stimulation, Lee Silverman Voice Treatment (LSVT), Tracheoesophageal Puncture Voice Prosthesis Placement, Beckman OM Treatment, and utilizes a wide variety of treatment approaches, which makes her an asset to her patients and the young SLP’s she is training. Dona is an avid runner and has participated in marathons around the country, most recently being selected to run a marathon in Chicago. “Dona Dietlien is an exemplary SLP with an extensive skillset and over 25 years of practice experience. She is a valuable asset in educating SLP students and training new hire SLPs throughout the company. 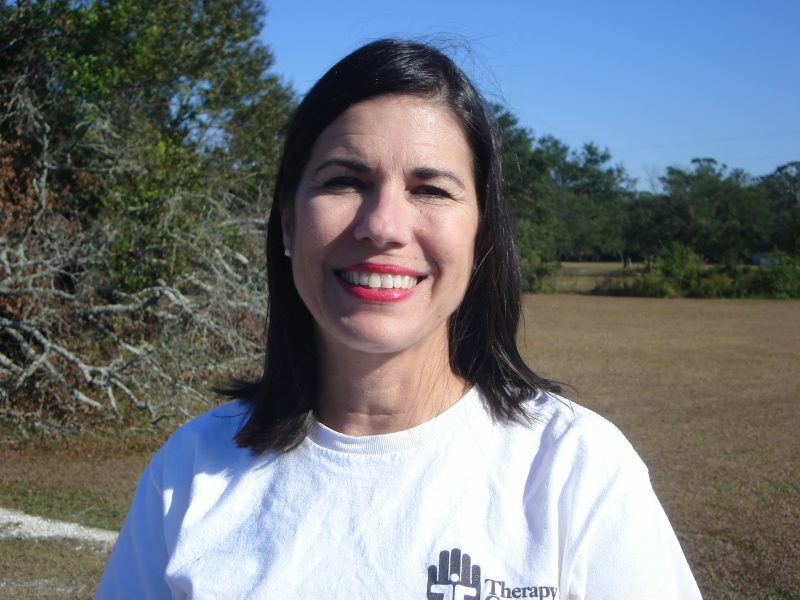 In addition to treating in our partner skilled nursing facilities and an assisted living, she travels throughout the company to share her knowledge with young therapists and to serve as a patient advocate. Parkinson’s treatment is near and dear to Dona’s heart as she helps her husband to battle this progressive disease process. Dona is a model SLP and we all strive to be half the therapist she is to her patients. Her passion for learning and inspiring patients is contagious. Dona is kind and compassionate and it is a privilege to know her and an honor to work alongside her,” Rachel Manuel, SLP. Are you an SLP who is interested in a speech therapy career with Therapy Center, visit our Career Opportunities page.